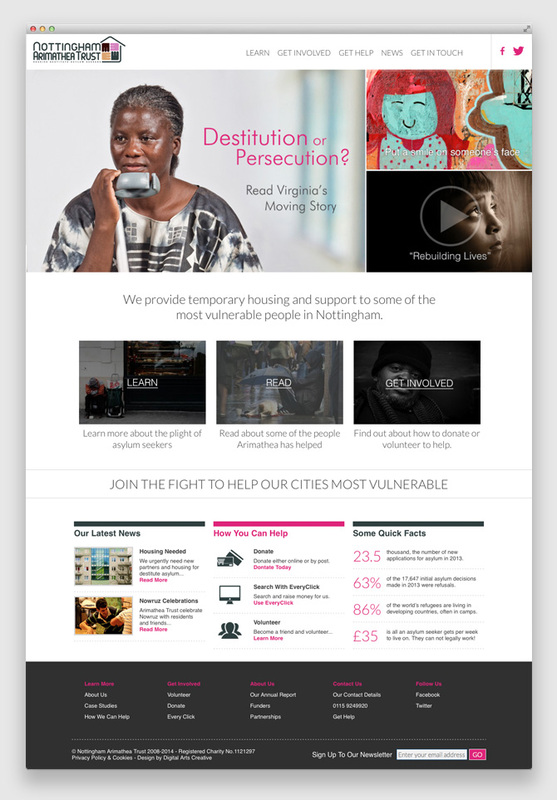 Today we are happy to announce the launch of a newly redesigned website for the Nottingham Arimathea Trust. 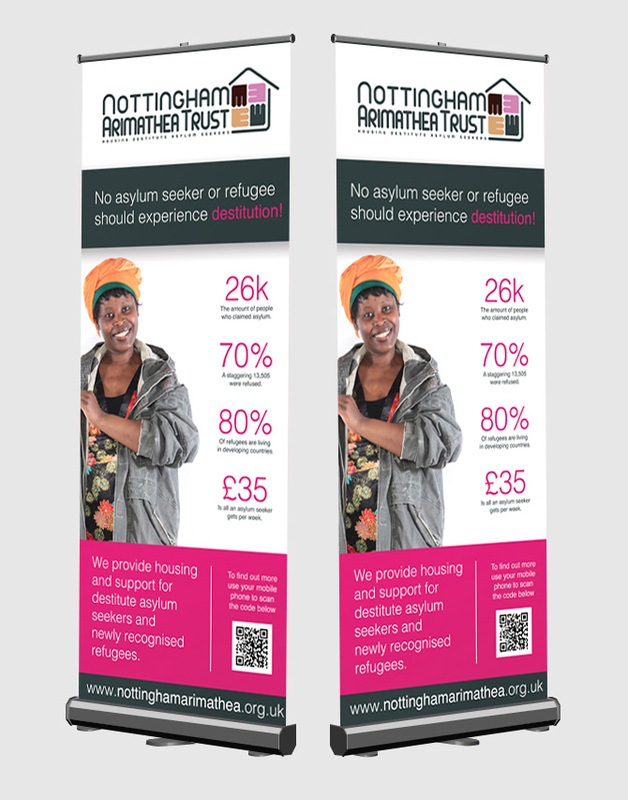 As a Nottingham based charity, they work hard to help destitute and vulnerable asylum seekers and refugees throughout Nottingham and the East Midlands. 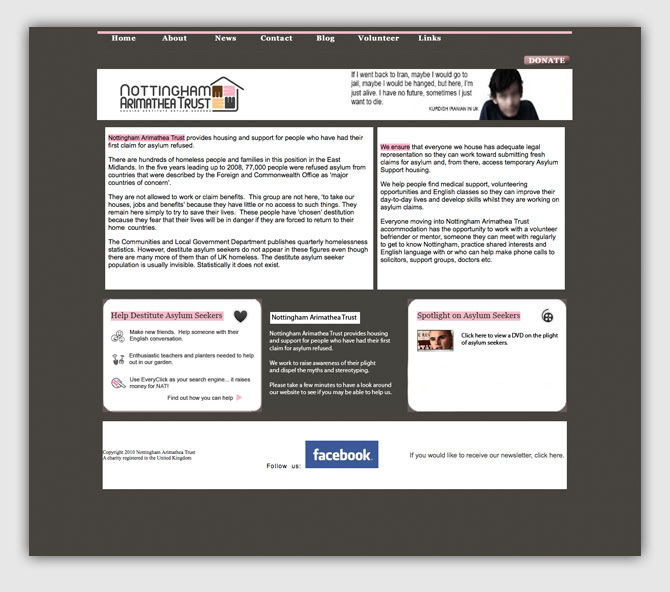 The Nottingham Arimathea Trust’s old website (pictured below) had some major issues. Some of the pages didn’t work and none of their staff knew how to update and maintain the website. Information was hard to find and did little to promote the charity or it’s cause. 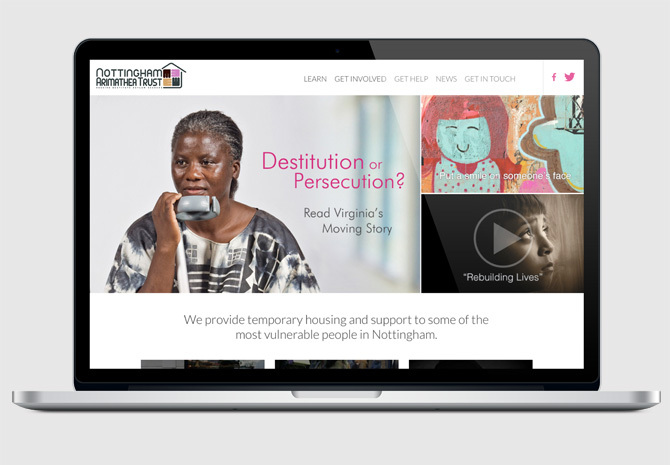 We worked with the charity to create a modern and clean website that was easy to navigate, follow and update. It is now easier for visitors of the website to donate, volunteer or get help and it now integrates very well with the various different social media platforms that the charity already used. The trustees of the charity are delighted with new website and subsequently asked us to design a popup banner for use at exhibitions (also pictured below). Feel free to get in touch to find out more about how we can help your business or for a friendly chat about your marketing.